iTunes "Best of 2008", Top Ten Reggae Albums of 2008. 2nd Full Length Album. 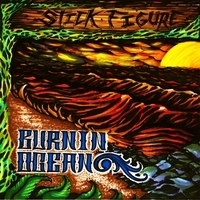 Back at it, Stick Figure brings you his second full length album "Burnin' Ocean." Holding down his unique sound of reggae, dub and rock steady, this album delivers a true essence of his musical capabilites. Self produced, recorded and written by Scott Woodruff, Stick Figure called upon featured artists Jeff M. (Clear Conscience) and Matt Valasquez (Drum Major Instinct, Rebelution) to add the extra flavor of some west coast reggae vibes. The album "Burnin' Ocean" includes 14 tracks that fit to any occassion if that occassion requires mix of good times. The album is incredible from start to finish. every song is unbelievable. i cant even begin to explain how addicted to it i am. Trust me on this, buy this album!!!! Just got the Cd three days ago and I can't stop listening. One of the best Reggae Cd's in years! BUY IT!!! Amazing Cd to chill to. Every song is great from start to finish. Highly recommended! This album is a huge step up from the last album. And that says alot! For any sublime, pepper, or alightly stoopid fan, this album is for you. I bought this CD along with the first one, and it does not disappoint! The songs are so easy to groove to, very catchy, danceable and I love the feelings they illicit...Buy it for sure! Hard to even pick a favorite track because I love them ALL! If you are thinking about purchasing this album, then stop thinking about it and do it. You will enjoy it and summer is right around the corner. Buy a copy for a friend too! Yeah the service was perfect. Just one week delivery time from USA to Switzerland, really fast. Dub done right. Smooth and flowing, and can't stop playing!